The Colca Lodge & Hot Springs is without doubt the best place to base yourself for a few days to enjoy the region. From here you can go trekking in the canyon, visit the Uyo Uyo pre Inca ruins only a short hike from the hotel and visit the Cruz del Condor (the Cross of the Condor) to see these amazing birds up close and personal. 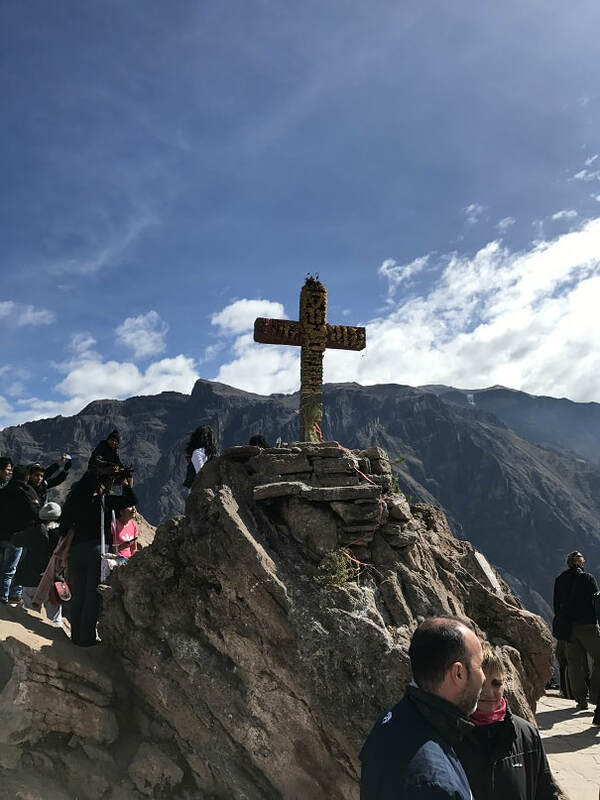 Located at an altitude of 3250 metres above sea level, and two-and-a-half hour’s drive from the city of Arequipa, the hotel is built on the banks of the Colca River and is surrounded by hundreds of pre-Inca agricultural terraces that have been declared a Peruvian national heritage. The design of the hotel is inspired by the old pre Inca structures built of earth, stone and straw creating a magical environment connecting the rooms to the gardens which in turn blend into the adjacent fields, without the division of walls and hedges giving guests full contact with the natural wonders of the area. 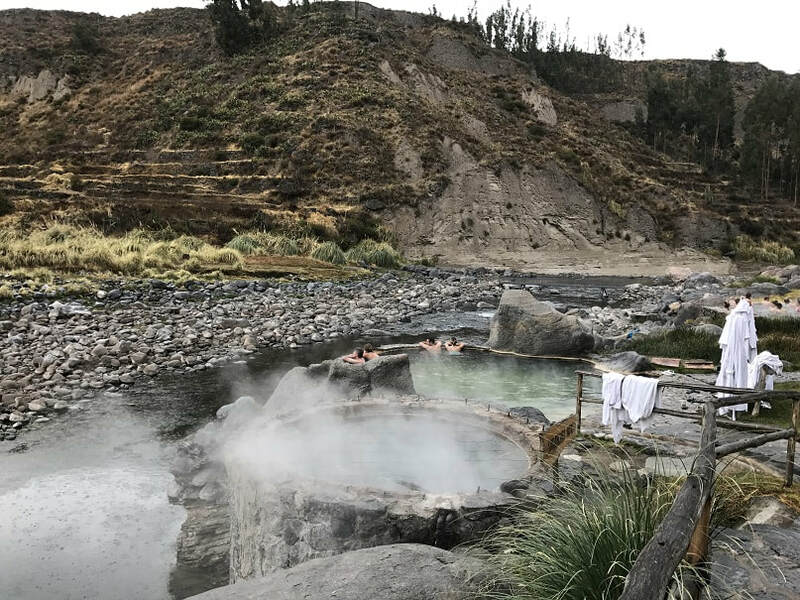 Colca Lodge, set in such beautiful natural surroundings has four thermal hot springs set on the river’s edge which have different temperatures and contain water rich in minerals that are beneficial to health and offer great relaxation at the end of a day’s hiking in the region. 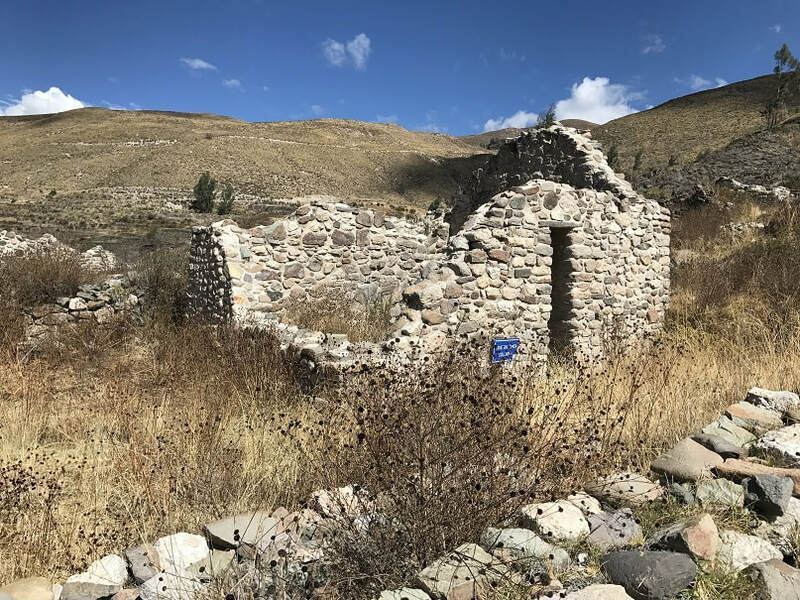 There is so much history in the valley with pre-Inca ruins located all over the valley. There are many villages to visit in the valley as well - Chivay, Yanque, Pinchollo and Cabanaconde to name a few. 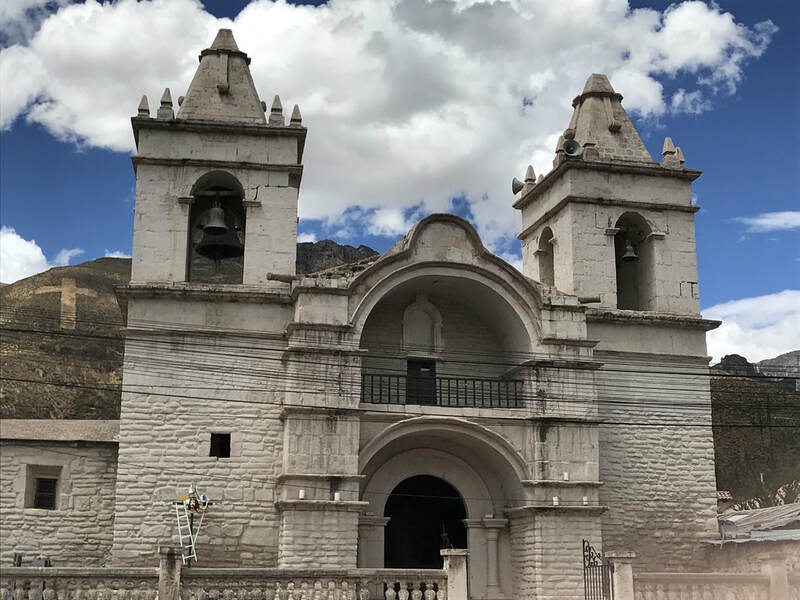 The 18th century colonial church in Yanque is stunning and the Museo Yanque has a university run cultural museum with displays on traditional cultural life. One of the delights of travelling in Peru is meeting face to face with the native wildlife. There are so many opportunities to meet the very cute llamas, alpacas and vicunas which are native to South America. Staying at Colca Lodge gives you the opportunity to enjoy a close up experience at their very own Alpacas Farm. It’s a spectacular drive from Arequipa past El Misti, the volcano that hovers over Arequipa city, then travelling through national reserve where you can spot many llama and alpacas living in the wild. On past the reserve you travel through the bleak altiplano (on the day we travelled it was snowing) reaching the highest point of 4,800 meters from where the snowcapped Nevado Ampato can be seen. 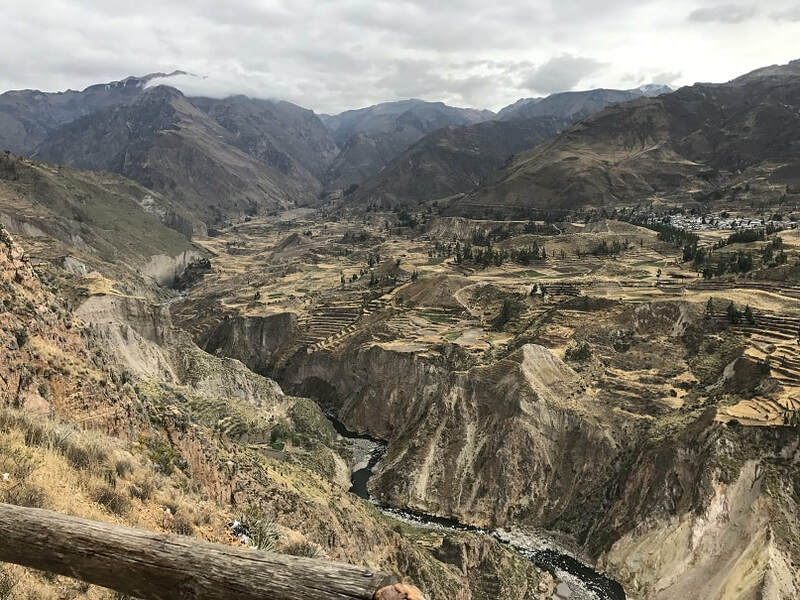 From there you drop spectacularly down into the Colca Canyon as the road switchbacks down to the rural village of Chivay.